Overall sales at Primark were flat in the 16 weeks to June 20, but the UK continued to deliver a “positive” like-for-like performance despite claims that currency movements could affect next year’s results. 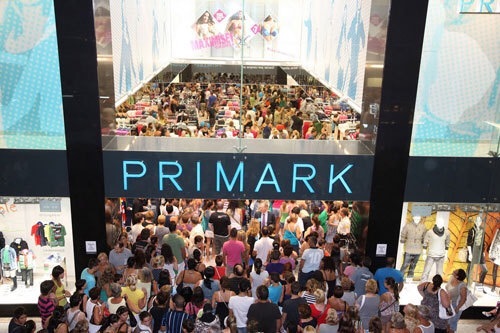 Primark owner Associated British Foods (ABF), reported that sales for the 40 weeks to June 20 were 13% ahead of last year on a constant currency basis. The value fashion giant’s strong sales rise were reportedly driven by an increase in selling space by 0.6m sq ft equating to 8% as well as “very high sales densities in stores opened within the last year”. But due to a weakening of the euro against sterling, the actual exchange rate increased sales to 9%. ABF said: “Primark sources much of its merchandise in dollars and as already indicated, the US dollar’s strength, particularly against the euro, will have an adverse effect on margins in the new financial year. Primark’s European expansion will continue with the opening of up to three stores in Italy, the first of which is planned to open in early summer 2016 in a new shopping centre in Arese, northwest of Milan. In September this year Primark will launch in the US. Posted on July 10, 2015, in Other. Bookmark the permalink. Leave a comment.